From Elie Wiesel, winner of the Nobel Peace Prize, comes a magical audio book that introduces us to the towering figure of Rashi-Rabbi Shlomo Yitzchaki-the great biblical and Talmudic commentator of the Middle Ages. Wiesel brilliantly evokes the world of medieval European Jewry, a world of profound scholars and closed communities ravaged by outbursts of anti-Semitism and decimated by the Crusades. The incomparable scholar Rashi, whose phrase-by-phrase explication of the oral law has been included in every printing of the Talmud since the fifteenth century, was also a spiritual and religious leader: His perspective, encompassing both the mundane and the profound, is timeless. 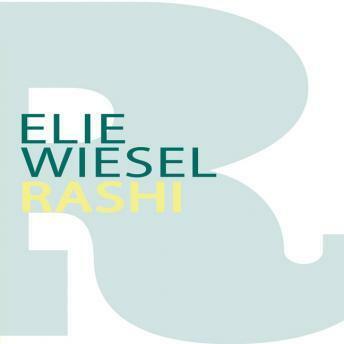 Wiesel's Rashi is a heartbroken witness to the suffering of his people, and through his responses to major religious questions of the day we see still another side of this greatest of all interpreters of the sacred writings.